A rare plant of beach dunes and coastal thickets naturally occurring from Brevard County south along the eastern Florida coast into Monroe County, mainland and keys. The range extends into the Caribbean, including Puerto Rico and the Virgin Islands. 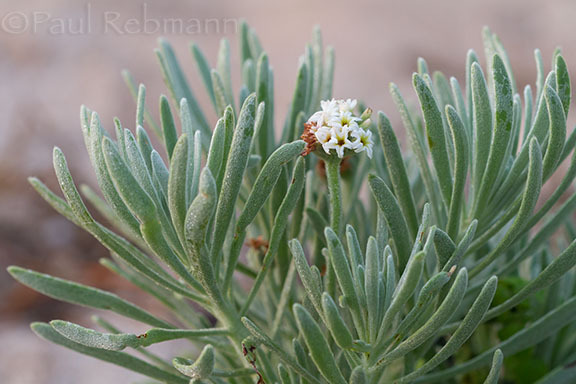 Sea rosemary grows into a medium-sized rounded shrub from 1 to 2 meters (3 -6 ft.) in height. This highly drought tolerant plant can grow in direct salt wind, but does not like constant salt spray or long-term salt water flooding. 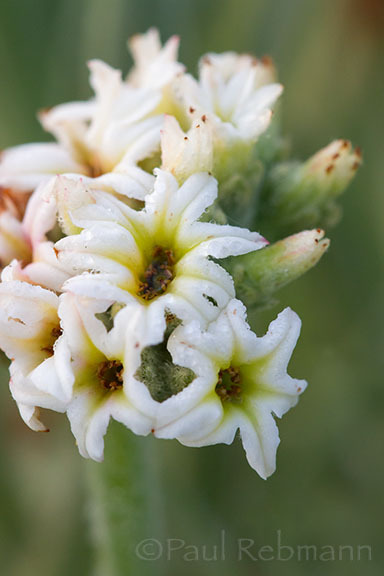 The tiny white flowers turn lavender and form on one side of curled spikes. Flowering can occur all year but peaks in the winter. Leaves are linear-spatulate and densely silky-tomemtose. Fruit is a black or brown drupe enclosed in a corky head about 0.6 cm (1/4 in.) long. 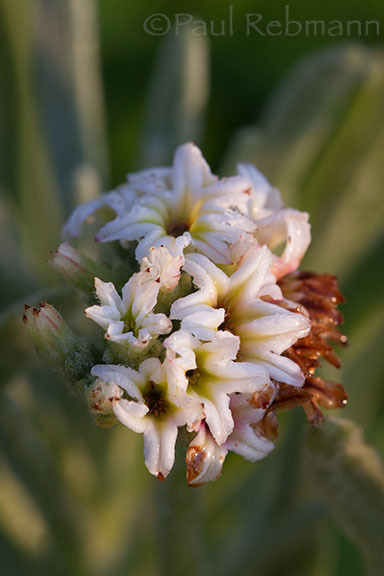 Heliotropium gnaphalodes is also known as Sea Lavender, a name it shares with a completely different plant, Limonium carolinianum of brackish marshes, salt flats, mangrove swamps and coastal strands. Heliotropium gnaphalodes is a member of the Boraginaceae - Borage family.